Bluefish fishing remains good throughout LIS. Bluefish spots include the reefs off Watch Hill, Ram Island Reef in Fishers Island Sound, the Race, Sluiceway, Pigeon Rip (rip line just north of Plum Island), Plum Gut, Black Point, Long Sand Shoal, Sixmile Reef, Falkner Island north rip, New Haven Harbor, Charles Island area, Stratford Shoal/Middle Ground, Bridgeport Harbor, Penfield Reef, and around the Norwalk Islands. Snapper bluefish are in the tidal rivers and creeks but only measure 3 inches in length. Striped Bass fishing is consistent throughout LIS. Anglers using live eels and/or bunker have been scoring well on “cow” stripers very early in the morning. Striper spots include the reefs off Watch Hill, Ram Island Reef in Fishers Island Sound, the Race, Sluiceway, Plum Gut, Bartlett Reef, Black Point, Hatchett Reef, Long Sand Shoal, Sixmile Reef, Cornfield Point, outer Southwest Reef, the reefs off Madison to Branford, New Haven Harbor, Charles Island/Milford area, Stratford Shoal/Middle Ground, Bridgeport Harbor, Penfield Reef, and around the Norwalk Islands. Summer Flounder fishing has dropped off (rated fair). The better fluking spots have been the south side of Fishers Island (Isabella Beach), off the mouth of the Thames River over to Goshen Point, Niantic Bay, Black Point, Long Sand Shoal, Falkner Island area, and New Haven Harbor. Scup fishing has picked up on the local reefs. Squid strips have been the preferred bait. Black Sea Bass fishing has also picked up with the Falkner Island area and the reefs off Madison to Branford being the hot spots. Blackfish fishing has been good in about 10 to 20 feet of water on the local reefs and rock piles in close to shore. 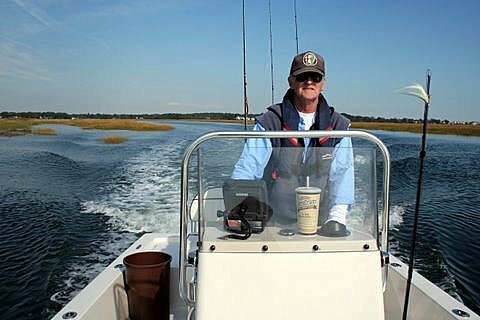 This a good time to hit our coastal state parks for some shore fishing “tog” action. Blue Crabs are off to an excellent crabbing start in the tidal rivers and coves. With all the rainfall and freshwater runoff, flood tide is the best time to go.